Living in Minnesota means you never know when a nice day is going to suddenly become very chilly or downright cold. When that happens, you want to make certain that your furnace is ready to warm you up. That’s why it’s so important to have a good furnace repair service on call so any emergencies can be taken care of quickly. It’s also important for another reason: a faulty furnace can be a health hazard to you and your family. Here at H&S Heating and Air Conditioning, we want to make sure you’re safe and warm. We’ve been offering our expert services to our customers in Minnesota for years, and we’re ready to provide you with everything you need to keep your home comfortable. We offer a number of different general heating and cooling services to our customers. We will provide service to your furnace no matter who installed it, and since we keep many parts on hand, we’ll more than likely be able to fix the issue that day. 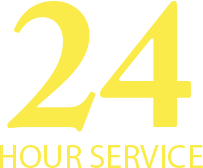 We are a 24-hour emergency repair service, so no matter what time of day or night your furnace acts up, you can give us a call and we’ll be there. In addition to repairs, we can also install new furnaces and other equipment and perform regular maintenance to ensure that your furnace is ready to go no matter what time of year it is. Regularly scheduled care will help extend your furnaces lifespan and will help reduce the chances of having a breakdown later. All of our work is done by highly qualified professionals with years of training and experience in the heating and cooling industry. We use only high quality parts and provide guarantees on our work. You’re putting yourself in good hands when you call us. If you have any questions or need your furnace serviced, contact us today.